If the screen of your MacBook Pro starts losing its sparkling look while a few spots, smears, and dust catch your sight, it’s time to give your device a good clean-up. This guide will teach you how to clean computer screen of MacBook Pro safely and effectively. And here you may find 5 Popular Methods to Clean MacBook Pro. There are several basic do’s and don’ts that work for cleaning of all LCD displays. These refer to cleaning the Retina screen of a MacBook as well. 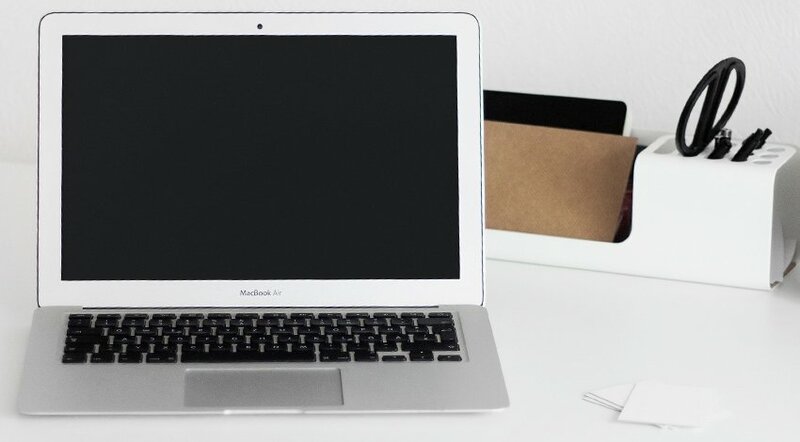 Keep them in mind, and tidying up your MacBook will become a quick and satisfying process. For the same reason, never spray water or detergents directly on the screen. You should only spring these liquids on a cloth, which you use for cleaning. The best material for cleaning – is optical microfiber cloth or any other clean, soft static-resistant lint-free cloth. You should avoid using paper towels, kitchen towels and other abrasive, rough types of textiles. Never use all-purpose home cleansers, alcohol-containing products, solvents, bleach, dish soap, aerosol sprays or any other abrasives. They all may and most likely will cause a serious damage to your LCD screen. After the device is unplugged, buff it in small concentric circles with a piece of clean, dry microfiber or lint-free cloth. Apply slight pressure to wipe all the prints out, but do not use any excessive force. To prevent accidental re-smudging with your fingers, hold MacBook by its upper edge or by the keyboard. The process may take you 2 to 5 minutes. If you choose to clean your MacBook with a cloth dipped in water, we recommend choosing distilled water instead of mere tap water, which contains some minerals. Tap water may potentially cause a short circuit or leave stains on the screen. Do not ever spray water over the screen! With a high likelihood, it may cause a short circuit, especially if any moisture gets into the openings of a device. Do not soak or drench cloth in water; you don’t want the excessive moisture to contact the screen. Wring the cloth well to make it only slightly moist, almost dry before applying it. Wipe the screen in slight-pressure steady concentric motions. Go from its top to bottom and from side to side. Re-dampen cloth if needed. Basic rules for this method are the same: unplugged device, soft lint-free cloth, and steady non-pressure buffs. Just like in the case of using the distilled water, never spring any liquid cleansers directly on the screen. You should put a small amount of agent on the cloth to make it only slightly damp but not dripping moist, of course. Special formula cleaners are a good choice for your screen, as they are developed with a glance to all the needs of safe LCD cleaning. To get started, remove the power adapter. Before you use a wipe, make sure that its formula doesn’t contain any alcohol, which may be damaging to the LCD screen. Alcohol-free wipes are another good option for an effective and quick cleaning, as their solution is designed to contract with the screens safely. Also, they are just slightly moist and never wet, having the exact amount of liquid you need to clean the screen. While cleaning the screen with wipes, move in small buffs applying steady but no excessive power. Now that you know all the methods to clean the screen of your MacBook Pro safely, you can choose the one that’s most handy for you. Next Are Mac Memory Cleaners Really Helpful?